DAVID LE/Staff photo. 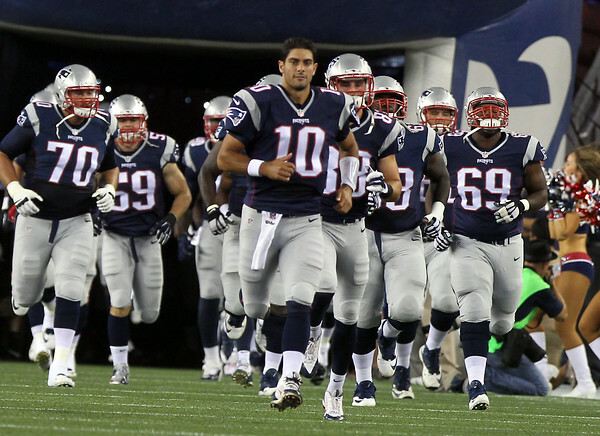 New England Patriots quarterback Jimmy Garapollo led the Pats out of the tunnel. Tom Brady did not play in the final preseason game of the year even after his four-game suspension was overturned by Judge Richard Berman earlier on Thursday. 9/3/15.